Tetracyclines are the prototypical broad-spectrum antibiotic and are occasionally used as first-line agents in some markets (e.g., Germany) for the treatment of mild acute exacerbations of chronic bronchitis, particularly when cost, penicillin hypersensitivity, and β-lactam resistance are of concern. The widespread use of tetracyclines has resulted in a steady increase in the prevalence of resistance to these agents. 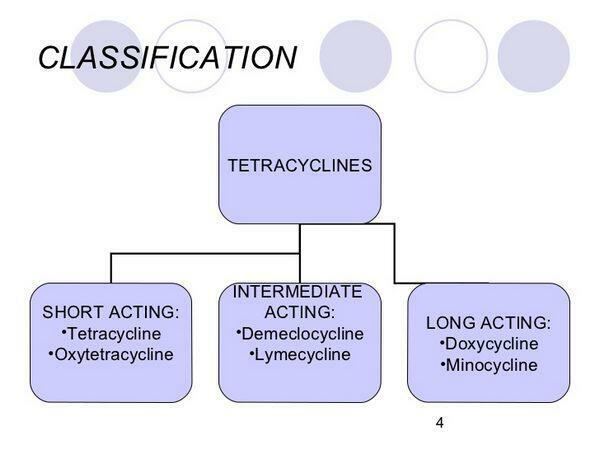 Therefore, empiric use of tetracyclines is usually restricted to regions where resistance levels remain low or when other appropriate antibiotics are contraindicated. Although some tetracyclines have very low activity against S. pneumoniae, doxycycline maintains good antipneumococcal activity and is the tetracycline most commonly used for the treatment of acute exacerbations of chronic bronchitis. Minocycline (Wyeth's Minocin, generics) is another widely available tetracycline also used for RTIs. However, the agent will not be discussed further owing to its limited use in acute exacerbations of chronic bronchitis. All tetracyclines have important adverse reactions with respect to bones and teeth (i.e., bone deposition and permanent teeth staining), and they are contraindicated during pregnancy and for children under age eight. Adverse events most commonly reported include stomach upset, diarrhea, nausea, headache, and vomiting. Phototoxicity, dizziness, and vertigo may also occur. Tetracyclines bind to receptors on the 30S subunit of bacterial ribosomes and prevent the attachment of transfer RNA (fRNA) to the ribosomal complex. Binding to the 30S subunit effectively prevents the addition of new amino acids to the growing polypeptide chain, halting the process of protein synthesis. 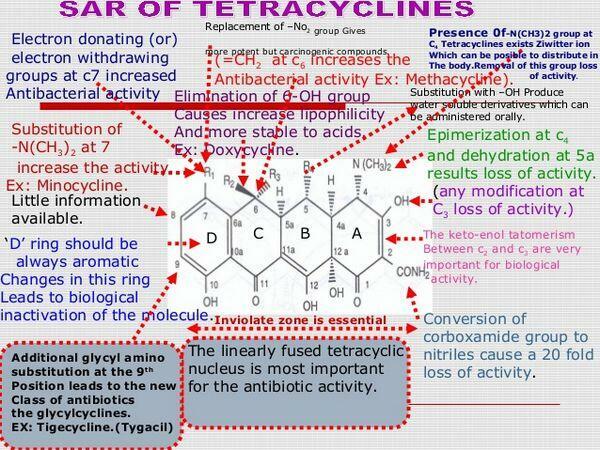 Tetracyclines are usually bacteriostatic, but, in some organisms, their effect can be bactericidal at high doses. Doxycycline (Pfizer's Vibramycin, generics) is a broad-spectrum antibiotic derived from oxytetracycline that has been used to treat both gram-negative and gram-positive bacterial infections since the 1960s. It is currently available in oral suspension, capsule, syrup, and IV formulations and has an improved pharmacokinetic profile that includes higher oral bioavailability, greater distribution volume, and longer serum half-life compared with earlier tetracyclines. Doxycycline is the prototypical broad-spectrum antibiotic. Its antimicrobial activity is attributed to the inhibition of protein synthesis by binding to the 30S subunit of the bacterial ribosome and subsequently preventing the addition of new amino acids to the growing polypeptide chain. This mechanism of action is reversible, distorting the subunit in such a way that the anticodons of charged fRNAs cannot properly align with the codons of the mRNA. Doxycycline is approved for the treatment of infections caused by H. influenzae, and the agent is active against S. pneumoniae. In a multicenter Phase III trial conducted in seven European countries, doxycycline demonstrated rapid improvement, usually by the third to fifth day in 87% of a total 1,747 patients with infections of the respiratory tract. Patients ranged in age from 6 years to older than 80, and approximately 50% of these study subjects were diagnosed with acute bronchitis and acute exacerbations of chronic bronchitis. Minimal GI side effects were observed, causing only 4 patients to withdraw from the study. Adverse events most commonly reported with use of doxycycline include stomach upset, diarrhea, nausea, headache, and vomiting. Phototoxicity, dizziness, and vertigo can also occur with doxycycline use.